Stone balls Description:A Kugel is a heavy ball perfectly balanced on a base that matches its curvature. A water source creates a thin film of water beneath the ball. This water creates a lubricant allowing a small child to spin a several thousand pound ball of stone. PRP Exports manufacturing and exports such a wonderful quality and verity of granite monuments using ultra modern technology.we are providing lasting comfort to our customers wishes and creating unique design concept in monuments.Our monument products such as: Tombstone- Monuments, Memorials&Correlative accessories. 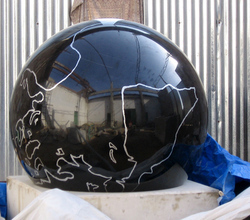 We deal in Granite Handicrafts, whose magnetic Indian appeal can be seen as they are carved with great effectiveness. We provide unique designs of Antique Granite Handicrafts, which are used variedly and are highly appreciated. 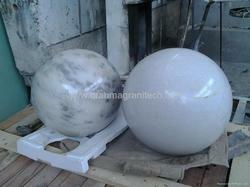 The entire range of Granite Stones has made us the best among the Granite Stone Crafts Exporters.